On the eve of releasing his debut album Process, Sampha has shared an immersive, emotional video clip to coincide with his intimate single (No One Knows Me) Like The Piano. In a collaboration with Youtube, the video utilises cutting edge virtual reality technology to create something not only beautiful, but really really cool. 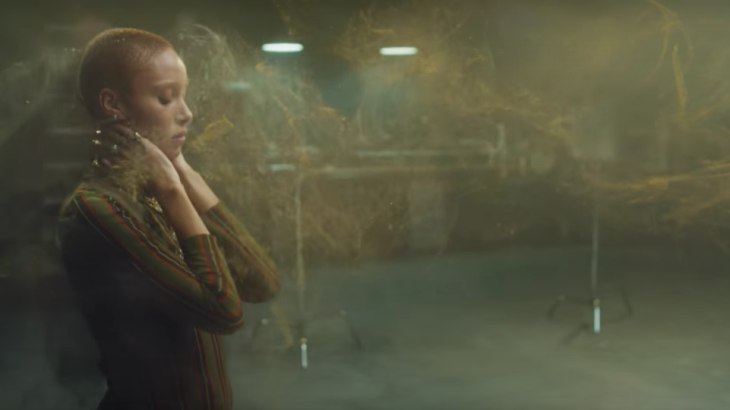 Directed by Jamie James Medine, it stars Sampha at his piano, and model Adwoa Aboah, who acts as the sole audience, and later, dancer. The video begins simply, but as it begins to unravel emotionally, we see Aboah physically coming apart as well. The video is available as both a regular clip and in 360 degree VR. They’re really different, so it’s worth taking a look, even if you don’t own any VR software. Sampha will release his debut album Process this Friday February 3 via Young Turks.